So what are you going to watch this summer? Do remember last time when Direct TV and Dish TV and other cable and satellite decided to block certain channels during the summer months? Do you know why? Most people weren’t watching TV during the summer and they have to pay a lot of fees to stay on the air and make program changes to catch your attention. Including local channels when various talk show have the summer off and they show summer reruns. Sometime they would come back in the middle summer and go back to work to broadcast new information and new shows to watch. Take a chance to catch some of the new shows coming in the Summer of 2015. 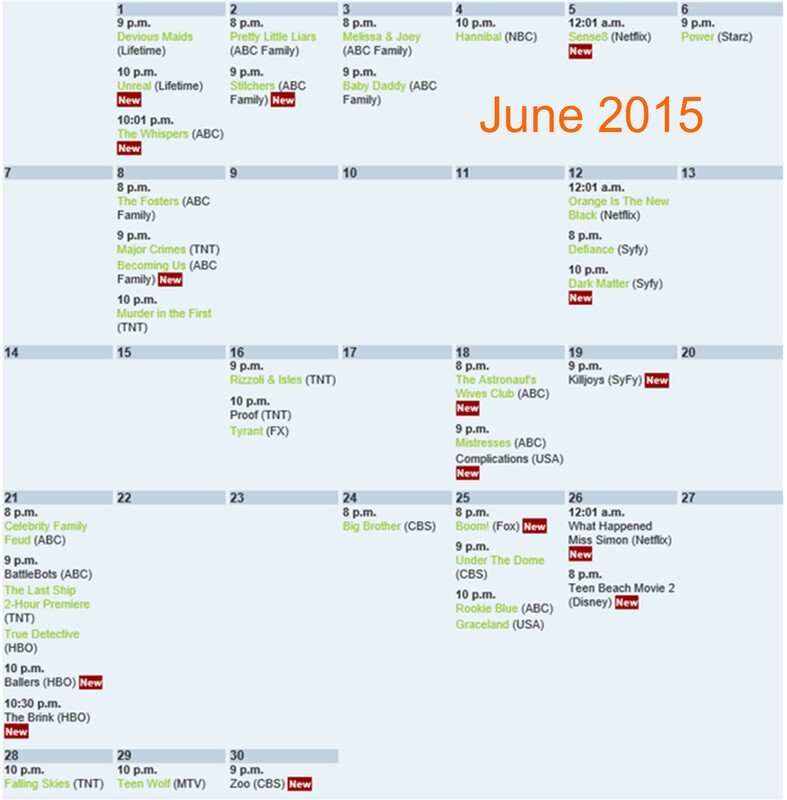 Here’s the calendar of events for TV viewing this summer.